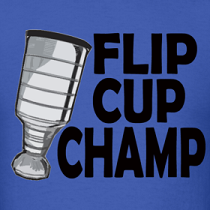 Dirty Dangle Hockey: Where's the Truculence? 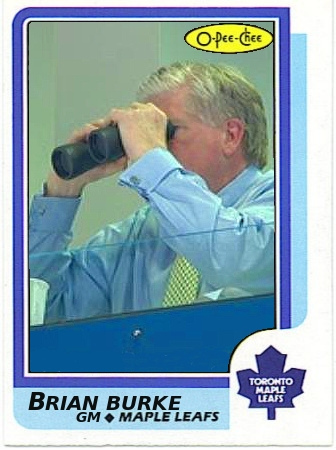 It’s the two year anniversary of Brian Burke coming to the Toronto Maple Leafs and taking over as General Manager and President. Burke's arrival two years came with an unforgettable press conference in which he inspired and gave far too much optimism to Toronto Maple Leaf fans. You can watch Part One and Part Two of that press conference if you want, however there were only a handful of quotes that stuck with Leaf fans today. Parts of these quotes would be overused by television commentators and fans for months, hoping the Leafs would finally turn things around and form a new identity than that of a last place finisher who got bullied every night. "We require, as a team, proper levels of pugnacity, testosterone, truculence and belligerence. That's how our teams play." Old Time Hockey, couldn’t wait to see a team of power forwards competing every night. The Leafs are more North American, with only 5 non-North American skaters on the team. But are they more physical? "That's how you provide a fear-free environment for your young players. That's how you develop young players where they don't have to worry about picking their teeth out of the glass or getting their faces washed." Development? Oh right… Kadri is drawing a lot of penalties and Andrej Sekera took some good runs at him on Friday night with no response. Based on these quotes, we’ve decided that truculence and black-and-blue hockey include hitting, blocking shots and fighting majors. Since the lockout and Before Burke (BB), the Leafs averaged only 26 fights in those 3 seasons, with their highest total being 29. The Leafs averaged 1738 hits BB for an average league rank of 7.3, and averaged 1087 block shots for a league rank of 12.6. After Burke (AB), the Leafs have averaged 1770 hits for a rank of 14.5 in the last 2 seasons, and averaged 1235 blocked shots for a league rank average of 6. With this said, has Burke’s truculence and belligerence promises been met? The top 6 forwards the Leafs roll out every night get pushed around and none of them fight back and stand up for themselves. Most of them don’t even hit. Nikolai Kulemin is the only one out of the top 6 that finishes his checks. It makes the Leafs a very easy team to play against. If the Leafs are going to get shutout out most nights, it would be nice for them to show some emotion and finishes their checks and drop the gloves once in awhile. Random thought on the Burke/Murray clip: What if Murray had lied about wanting Kadri, made a deal with Burke to flip picks, and then picked Kadri anyway? All while Burke was mic'd up for TSN. I think the reaction shot could have been one of the five greatest TV moments of all time. Wow...pretty cool stats that reflect how leafs arent following burkes system of truculence and belligerence. Is mike brown actually there to score? id say fighting is what makes him his money. I also think brown has been the best player on the leafs; he shows consistancy every game. Is that really Down Goes Brown commenting on this post? And Brown is a great skater and can hit and fight. But should be just a 4th liner. Brown will be missed, it's a shame his work ethic hasn't rubbed off on some Leafs yet.